Fishing is a hard job. Most people in the U.S. who go fishing do it for the love of it, and commercial fishermen are no different. This is what we do, and we love our chosen and oftentimes inherited profession. But pursuing our passion comes with the added pressure of having to pay our bills, feed our families, fix our boats, and other financial stressors that come with being a small business owner. It is a hard profession that requires us to constantly adapt and change. Our industry faces many challenges and threats on a local and regional level, but by thinking outside the box and being open to new ideas, it can be a successful venture and done in a way that not only makes a fisherman successful, but also ensures the resource he relies on is available for future generations. Top photo: Lance Nacio. 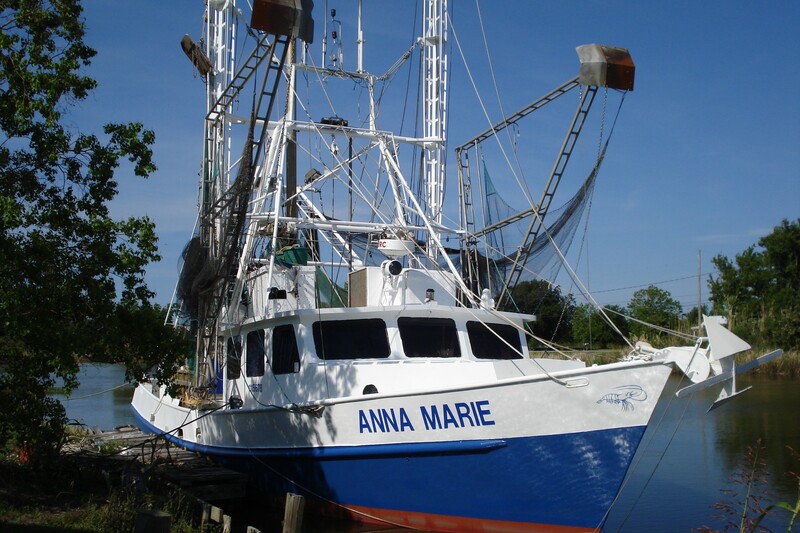 Above: The Anna Marie. I am a third-generation fisherman. I grew up in a trapping camp in the bayous of Louisiana where my family taught me to live off the land. We made a living and fed ourselves with whatever was in season – crabs, shrimp, oysters, redfish (before radical recreational groups took that resource away from commercial fishermen in the 1980s). If we could fish it, we did. And my family instilled in me the importance of sustainability; we only took what we needed, and made sure to leave enough in the water to populate the next generation. While my specific upbringing on a trapping camp may be unique, the fact that I started fishing young (I bought my first skiff in high school) and that my father passed me the knowledge he learned from his father is not unique. Many fishermen in the Gulf, and across the country, are at least third generation. Yet there are few new fishermen coming into the business, which puts the future of this industry in jeopardy. So where is the next generation? Many have decided to pursue other careers. Not only is fishing hard work with long hours and potentially dangerous conditions, it’s very difficult to get started. Costs of entry have increased dramatically since I started my business. Depending on the fishery someone wants to pursue, investing in a boat, permits, gear, and quota for fisheries managed by individual fishing quotas can be hundreds of thousands of dollars at a minimum. And because of the high-risk nature of fishing, and uncertainty due to the constant politicizing of natural resources (like current bills in Congress that will make it harder for commercial fishermen to start a business and will dial back the successful science-based measures of our nation’s fisheries management system), banks can be hesitant to grant loans. And if someone can get the funds to acquire everything needed to start fishing, profit margins can be low. Despite political threats and financial hurdles, fishing can be profitable. Conditions are constantly changing, and it’s important to find ways to adapt to those changes. Prices of Gulf seafood, such as shrimp, red snapper, crab, and many others, are always competing with cheap imports. But chefs and consumers demand the quality that only Gulf seafood can provide, so I’ve found ways to work directly with chefs in New Orleans to get them my product. Shrimp is the most popular seafood product in the country, but it competes more with imports than maybe any other species. There are also challenges with public perception about our impact on the environment. So I adapted. My skimmer nets contain turtle excluder devices, which are not required for that particular type of gear. I installed plate freezers on my boat that can deliver a superb quality shrimp for chefs and consumers. I partnered with researchers as well as sustainability-focused organizations like Slow Fish, Audubon Nature Institute’s Gulf United for Lasting Fisheries (G.U.L.F. ), Gulf Restoration Network, Louisiana State University and Louisiana Sea Grant to get my message out and to help improve my business. I diversified my clientele by starting to sell direct to consumers at farmers markets across Louisiana. This mindset has allowed me to diversify my business, and just this year I started fishing for reef fish and joined the Quota Bank from the Gulf of Mexico Reef Fish Shareholders’ Alliance in order to cover red snapper discards as I start to target reef fish out of Louisiana. It’s vital that we find ways to foster the next generation of American fishermen. The Magnuson-Stevens Fishery Conservation and Management Act has been successful at ensuring the resource is there for the next generation, but social and financial barriers keep them from accessing the resource and providing more seafood to the American public. Whether it’s training, classes, apprenticeships, or improved access to capital, if nothing is done for young people interested in commercial fishing, the country stands to lose one of our oldest industries, and access to local, sustainable seafood. 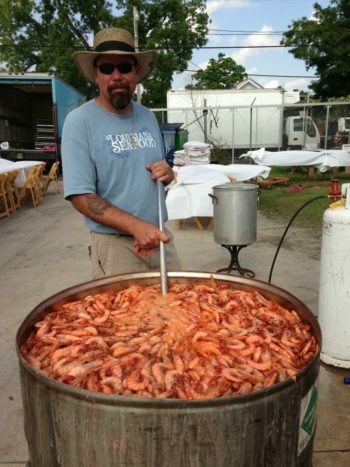 Lance Nacio is a commercial fisherman from Montegut, Louisiana and the owner of Anna Marie Shrimp. The fishing industry is the best example of over regulating American business, and protecting foreign business, that has no regulations, that Americans have to compete against. Just common sense. But when the liberal left is involved there is no common sense. Get your facts straight about magnuson Steven’s act before saying it helps us! Nmfs has done nothing but try to play God with our industry! I’ve been commercial fishing 30 years and have never seen a quota filled and never will!As the industries top producer and major original ifq shareholder I’m sure I know what I’m saying! !I feel the ifq system is a joke as well as this snapper bank that requires 3.75$ a pound to lease to someone that dont fish.i produce over 150000 pounds of grouper a year,how many snapper do u think I throw back!!!!! My father was a commercial fisherman and I wrote a book to honor him and the fishermen of the sea. “The Fishermen and the Mermaids”.